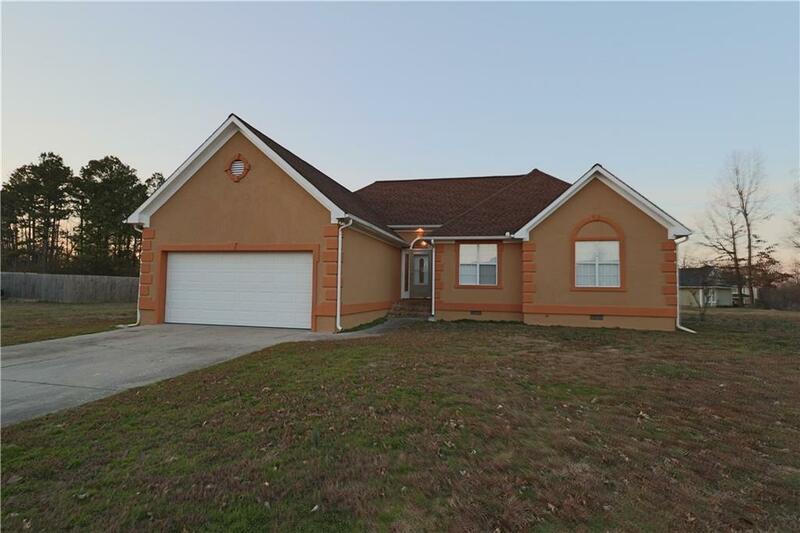 Appealing 3-bedroom, 2-bathroom located in the Sonoraville school district on a level lot. This home offers a flowing floor plan with a breakfast area, dining room and great room with a fireplace and cathedral ceiling. The generous master features a walk-in closet, his and her vanities, separate shower and whirlpool tub. Directions: From Interstate 75, Exit 312. Head West On Highway 53. Turn Left Onto Lovers Lane. Turn Right Onto Boone Ford Road. Turn Right Onto Greystone Drive, Turn Right Onto Bradford Drive. Property On Right.